Write script to set the request parameters and validate the response. 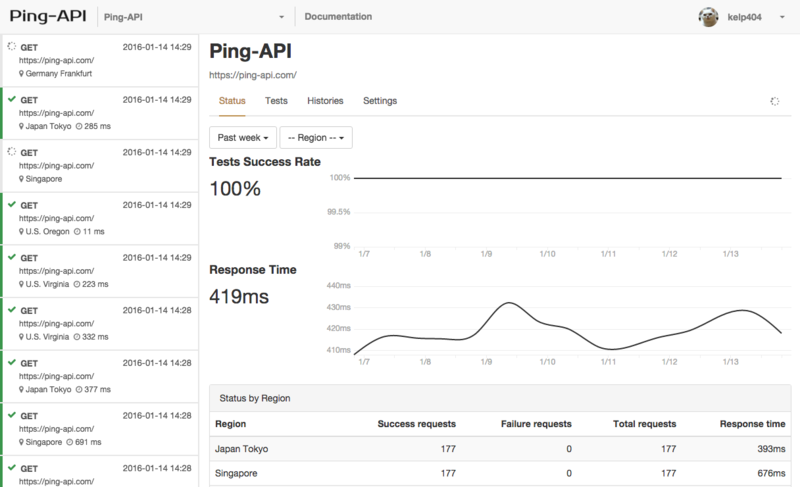 Ping-API will run your test script on global servers in U.S., Japan, Germany and Singapore. Schedule testing to inspect your APIs. We will send the failure test information to you with email, Slack and HipChat. Ready to test your APIs?